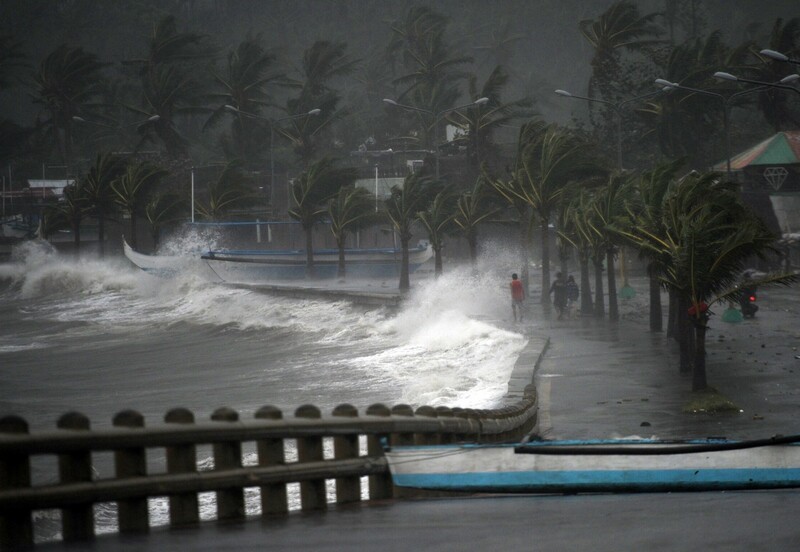 MANILA - A powerful, slow-moving typhoon ripped through the central Philippines on Sunday, bringing howling winds that flattened houses and toppled trees and power lines in areas still scarred from a deadly super-storm just over a year ago. In the coastal villages of Dolores, on Samar island, where Typhoon Hagupit first made landfall on Saturday night, Mayor Emiliana Villacarillo said around 80 percent of homes were destroyed. "Only the big houses were left standing," said Villacarillo, adding floods also washed away rice crops in what is a key growing region. 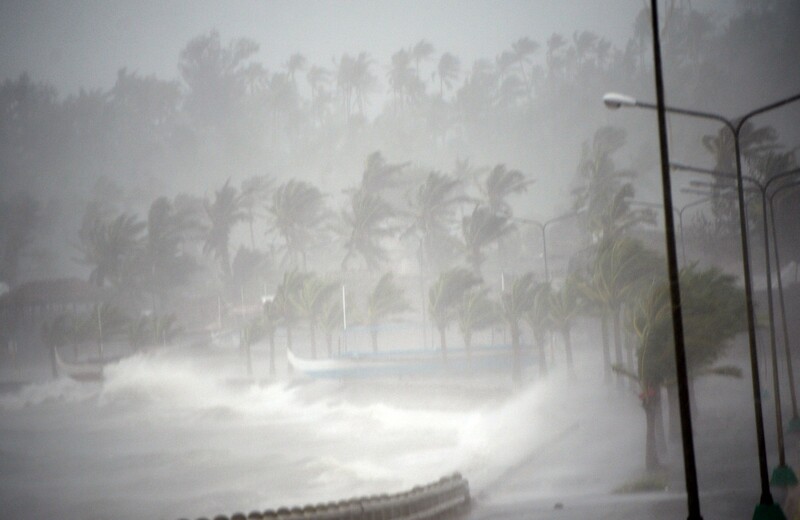 Officials confirmed at least three people had died due to the typhoon, including a resident of Dolores town who was killed by a falling coconut tree. 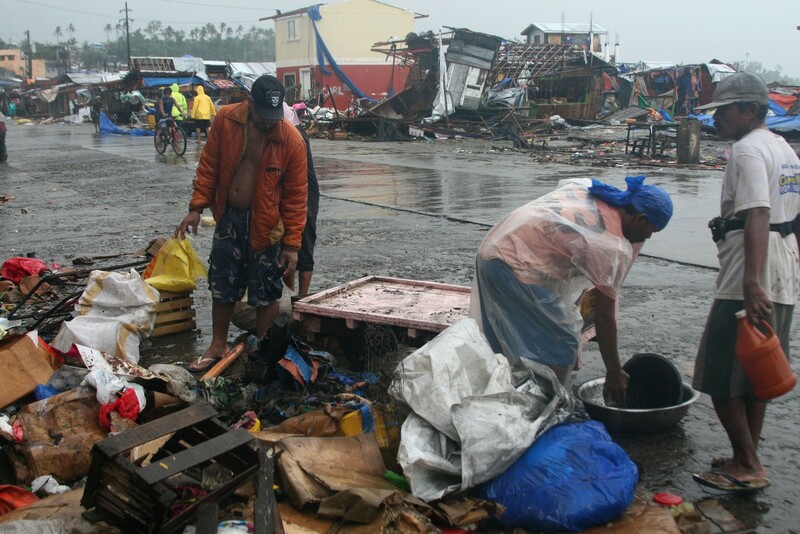 "The devastation in homes is huge because of the strong winds," Interior Secretary Manuel Roxas told local radio DzBB from Samar. "Many people voluntarily returned to evacuation centres tonight, even more than those who fled to centres last night, because they do not have homes anymore." But Hagupit did not appear to have wreaked destruction on the same scale as last year's super typhoon Haiyan, in part because of a massive operation to evacuate residents from coastal and landslide-prone areas days before the storm hit. 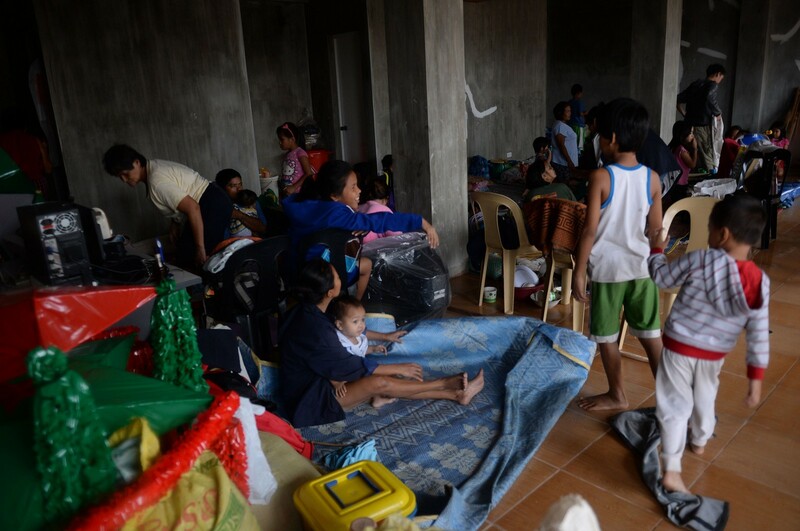 More than 1.2 million people had crowded into over 1,500 schools, civic centres, town halls, gyms and churches used as evacuation centres across the central Philippines, said Gwendolyn Pang, secretary general of the Philippine Red Cross. Roxas said rescue teams cleared the highway to Dolores town of about 25 to 30 huge fallen trees. Some residents lined streets asking for food, water and other supplies. 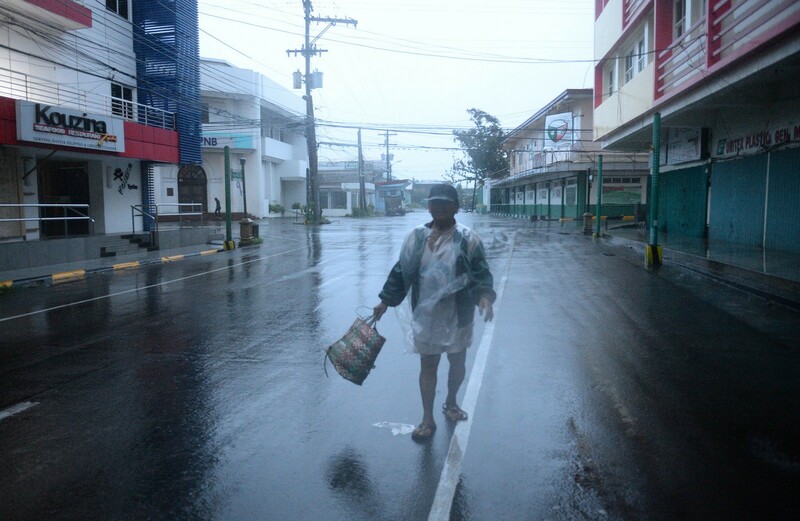 Hagupit, which days earlier had reached category 5 "super typhoon" strength as it churned across the Pacific Ocean, weakened on Sunday to category 2 as it made a second landfall at Cataingan town in the south of Masbate island. There were no initial reports of the kinds of storm surges that were so destructive during Typhoon Haiyan, which killed more than 7,000 people across the central Philippines. "Structural damage was caused mostly by wind, not by storm surge," said presidential spokeswoman Abigail Valte. 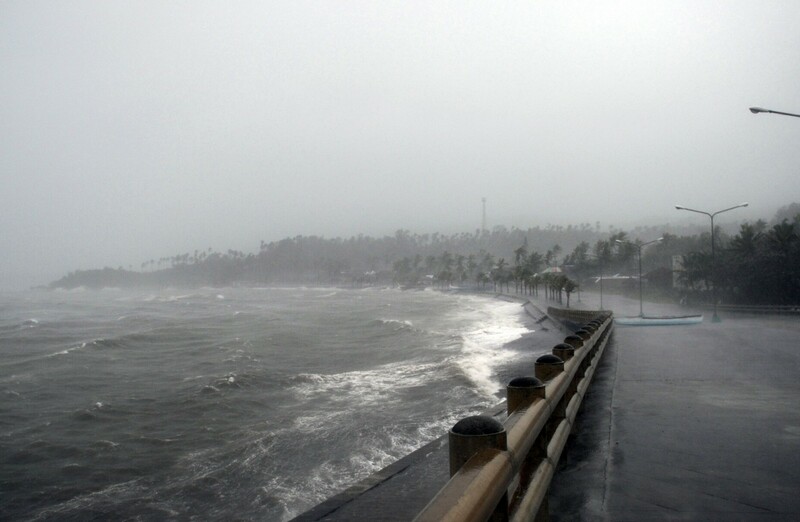 Strong winds and rain pound the seawall hours before Typhoon Hagupit passes near the city of Legazpi on December 7, 2014. 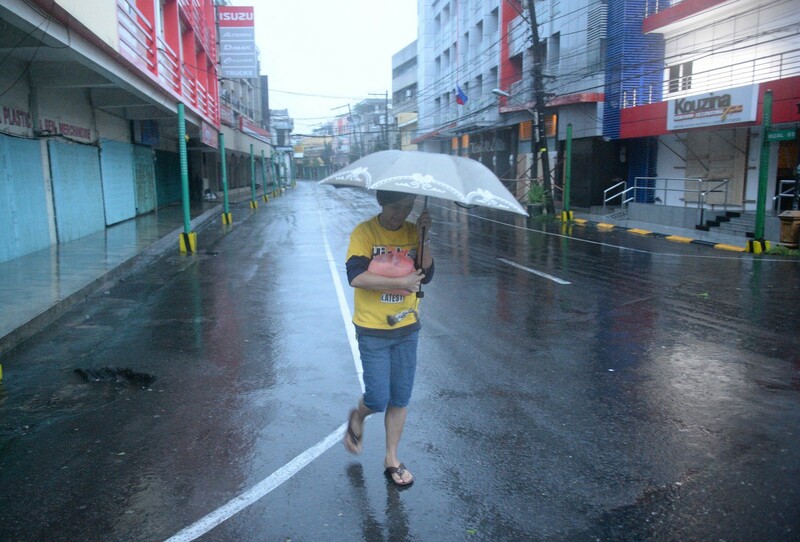 A resident braves strong rain as she walks along an empty street hours before Typhoon Hagupit passes near the city of Legazpi on December 7, 2014. 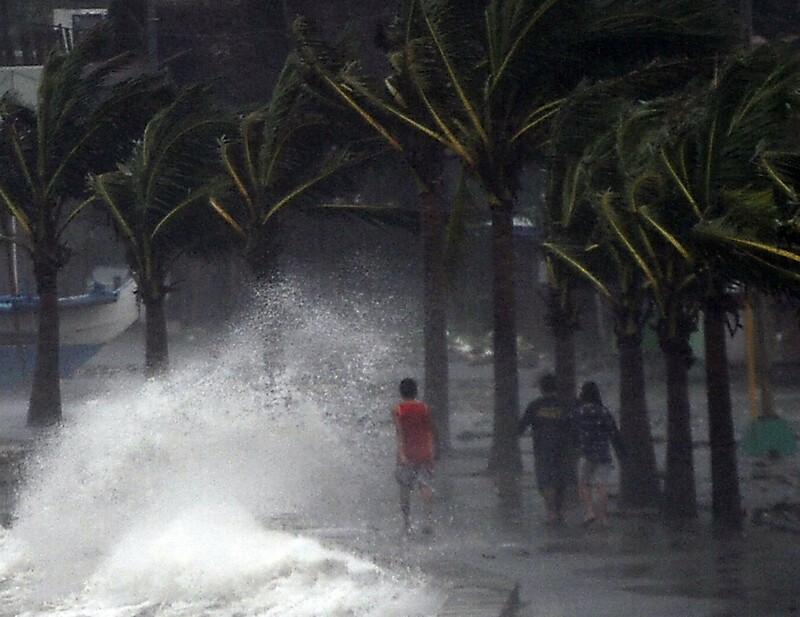 Typhoon Hagupit hit the central Philippines late on Saturday with gusts of 210km an hour, destroying flimsy houses, tearing roofs off others, knocking down power poles and smashing bridges. During a terrifying night, it cut across Tacloban city and dozens of other communities that were only just starting to recover from last year's catastrophic Super Typhoon Haiyan. 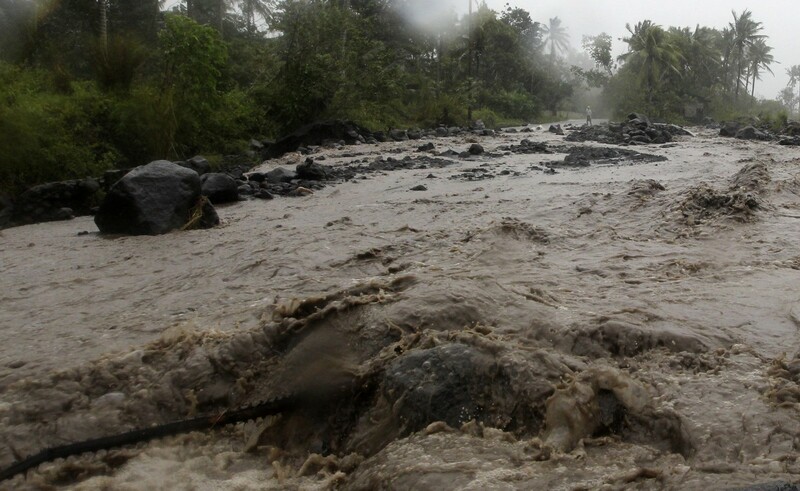 Volcanic rocks are washed onto a main road during a flash flood brought by Typhoon Hagupit in Guinobatan, Albay province southern Luzon December 7, 2014. 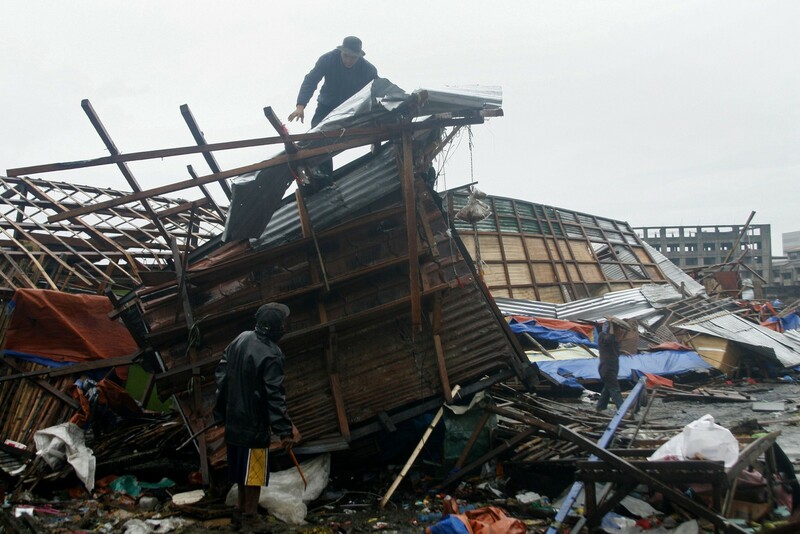 A man is seen on top of his damaged house in Tacloban, central Philippines on December 7, 2014. Typhoon Hagupit tore apart homes and sent waves crashing through coastal communities across the eastern Philippines on December 7, creating more misery for millions following a barrage of deadly disasters. 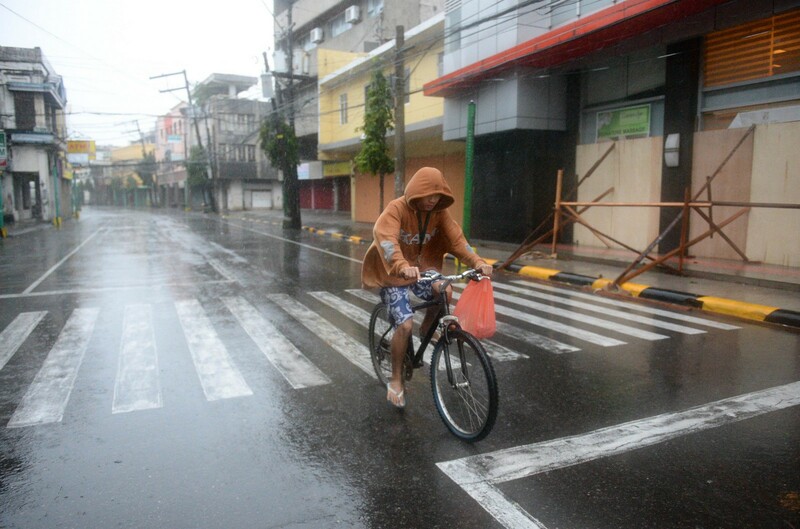 A resident cycles around an empty street hours before Typhoon Hagupit passes. 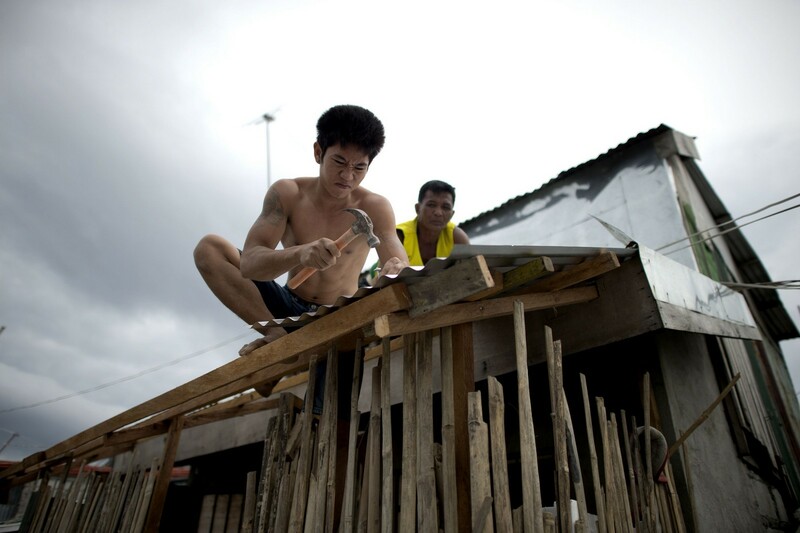 A man repairs his damage house in Tacloban, central Philippines on December 7, 2014. Typhoon Hagupit tore apart homes and sent waves crashing through coastal communities across the eastern Philippines on December 7, creating more misery for millions following a barrage of deadly disasters. 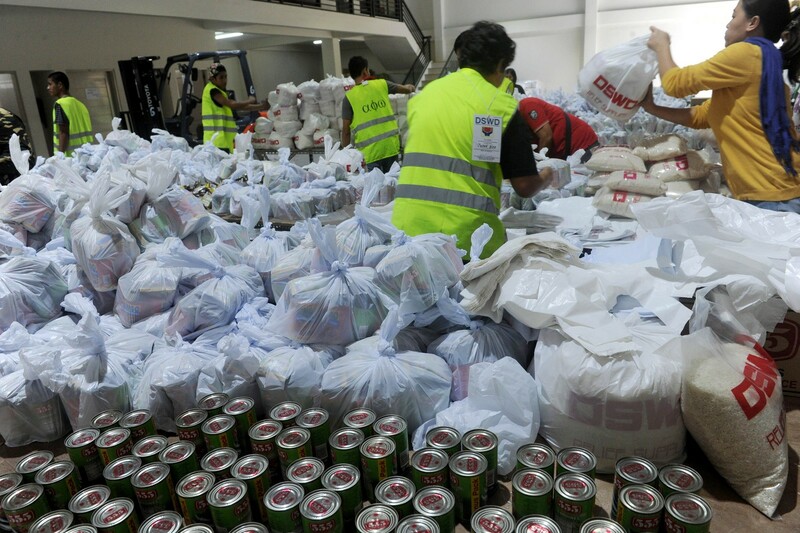 Volunteers repack relief goods for victims of Typhoon Hagupit at the Department of Social Welfare and Development (DSWD) in Manila on December 7, 2014. 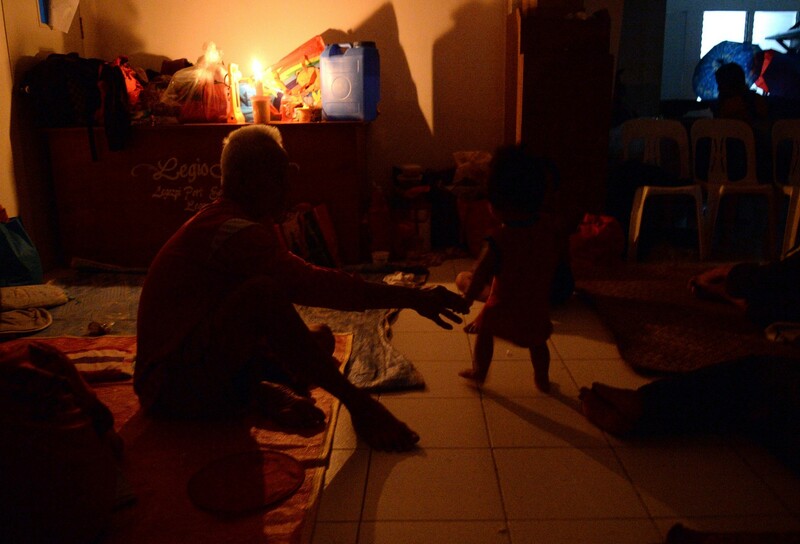 Power was cut across most of Samar and nearby Leyte province, including Tacloban City, which accounted for about half the death toll from Typhoon Haiyan in November last year. Power and communications were also down in Masbate, parts of Cebu island and some southern provinces of the main island Luzon. Philippine Long Distance Telephone Co's mobile arm, Smart Communications, said about 5 percent of its service area was cut by strong winds. General Gregorio Catapang, head of the military, said nearly 2,000 soldiers were clearing the roads and two airports on Samar to bring in food trucks and aircraft. 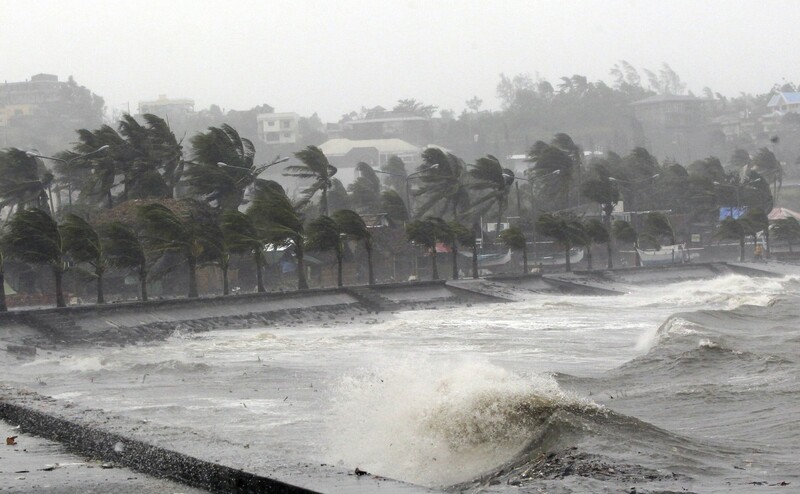 The typhoon was crawling west northwest at 10 kph, with sustained winds of 140 kph and gusts of up to 170 kph, the Philippine weather bureau PAGASA said. 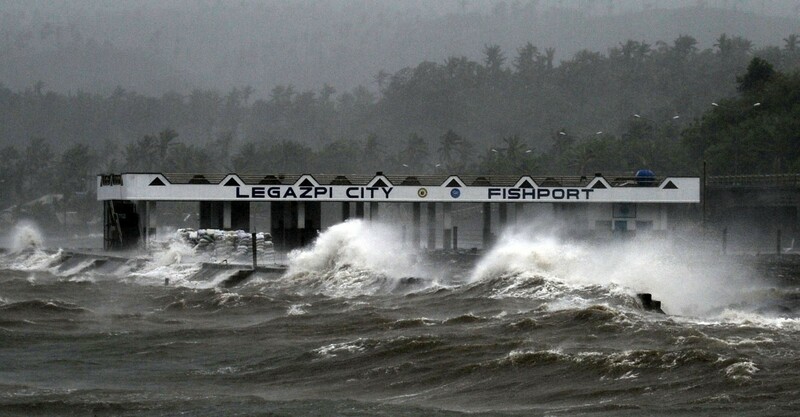 The weather bureau said Hagupit - which means "lash" in Filipino - was following its predicted path through the archipelago's central belt, slightly north of areas devastated by Haiyan last year. 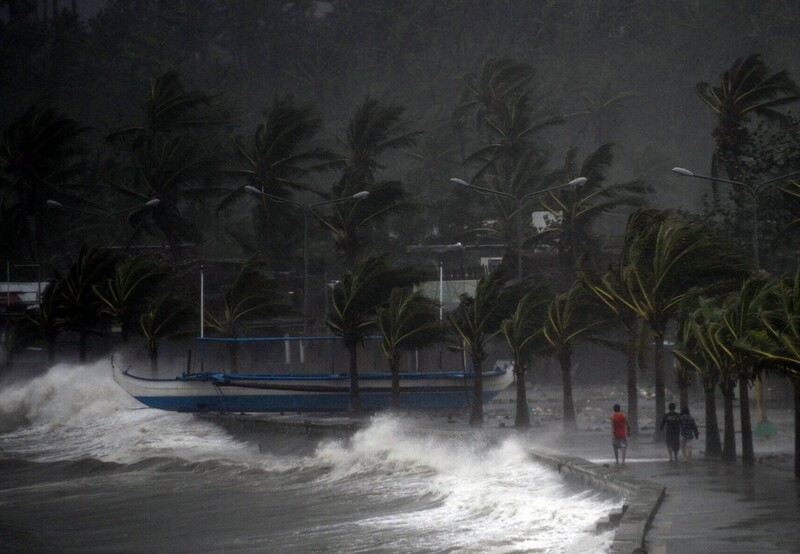 It was hovering 50 km northwest of Masbate City in the centre of the island, and was expected to make a third landfall on the small island of Sibuyan early on Monday before passing around 120 km south of the capital Manila, PAGASA said. 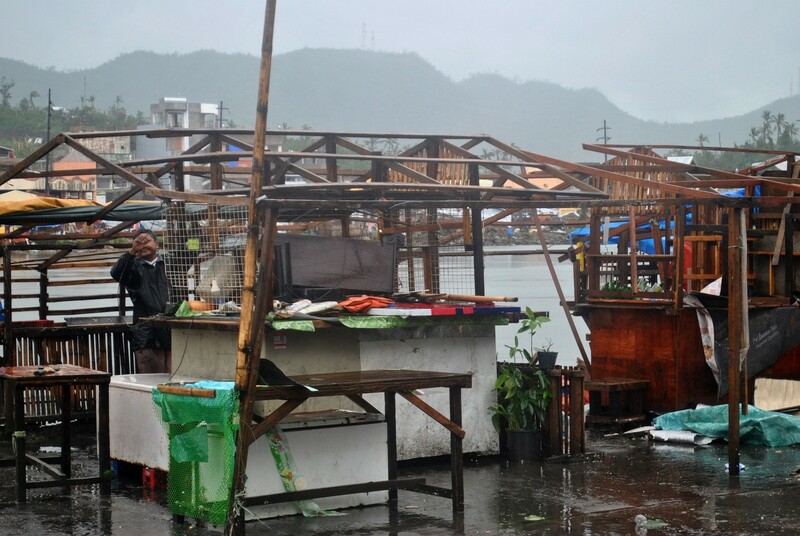 Alfred Romualdez, mayor of Tacloban, said although more than 48,000 residents had fled to shelters, damage to the city appeared to have been minor. 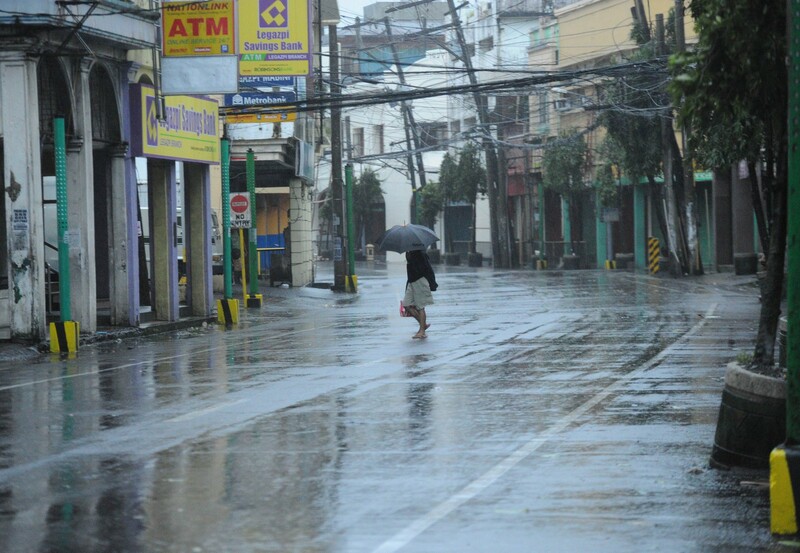 "Thank God, the typhoon spared us and we have no reported casualties," Romualdez told Reuters. "By the end of the day we expect the people to return to their homes from shelter areas." 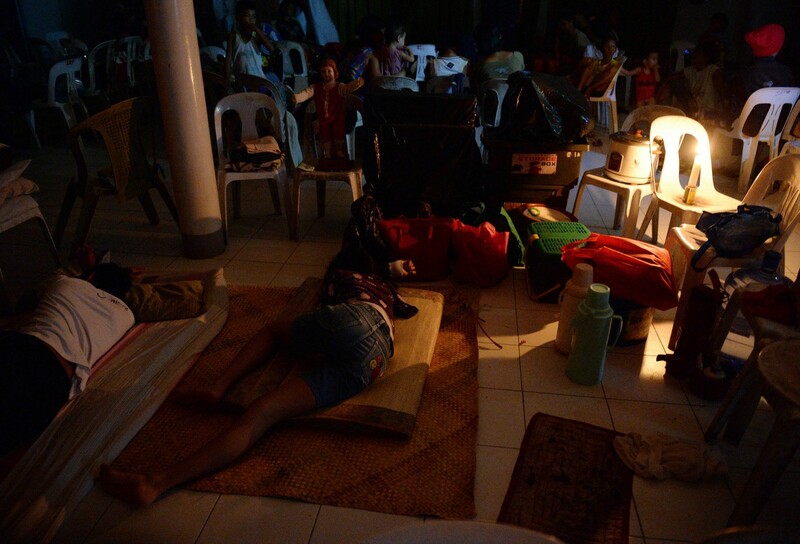 By Sunday evening, people were also returning to their homes from shelters in Leyte island and southern Luzon. Environment and humanitarian groups are hoping the typhoon would spur action at UN climate talks in Lima, where almost 200 nations are meeting to work out an accord to slow global warming, due at a summit in Paris in a year's time. 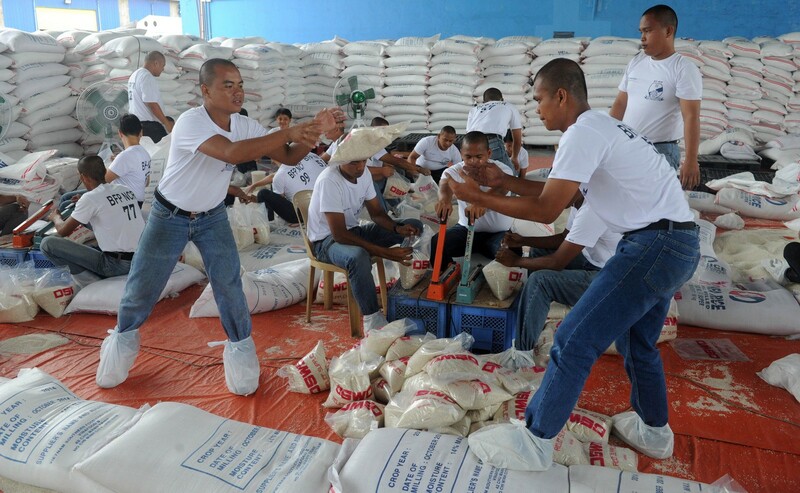 "My country is under water, farms have been wiped away, homes destroyed, families separated," Shubert Ciencia of the Philippine Rural Reconstruction Movement and a member of global relief organisation Oxfam, said in Lima. 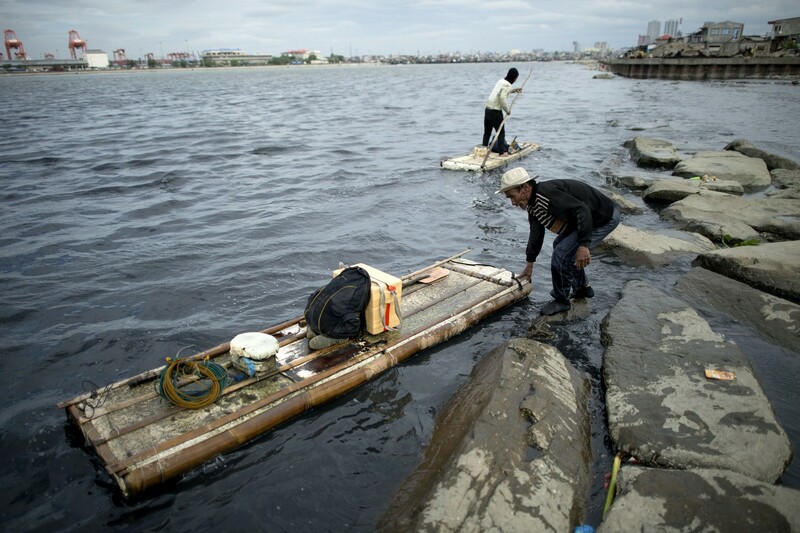 An Oxfam report in November showed Asia is highly vulnerable to increasingly severe and frequent weather extremes and woefully underprepared to manage growing crises.